At its Morocco Country Day: Opportunities for Turkey meeting, the Istanbul Chamber of Industry (ICI) explored avenues of investment and cooperation opportunities between the two countries for industrialists and investors. 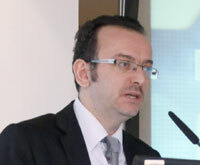 The event, hosted by Erdal Bahçıvan, Chairman of ICI, took place at the InterContinental Hotel. Present at the meeting were M’hamed Ifriquine, Consul General of the Kingdom of Morocco in Istanbul; Sara Maftah, Specialist from the Morocco Investment Agency; Hanaa Bouchikhi, Trade Counselor to the Embassy of the Kingdom of Morocco in Ankara; and Oğuzhan Kökosmanlı, Specialist from the Morocco Country Desk of the Ministry of Economy. Also attending the event were ICI Board Treasurer Sadık Ayhan Saruhan, ICI Board Member Nahit Kemalbay, a number of businesspeople who are engaged in commercial activities with Morocco, many industrialists who wish to invest in the country, as well as Moroccan government officials. Delivering the opening address of the meeting, Erdal Bahçıvan, ICI Chairman, noted Turkey’s position as a dynamic economy with a young population, and underlined their constant efforts to improve the investment environment for foreign investors. Bahçıvan listed the R&D Law, Industrial Property Law and a series of investment incentives as the most recent initiatives aiming to enhance Turkey’s appeal for investments. Bahçıvan remarked on the significant potential of Morocco as a country, due to its position as the gateway to North Africa, its close proximity to Europe, its population of 34 million, its economy, which is the fifth largest in Africa, and its stability. “I would like to draw attention to the necessity of cooperation, driven with the unifying force of the Mediterranean. The Mediterranean has been a sea of trade since the dawn of history. Unfortunately, today the Mediterranean does not wield the strength it deserves. Turkey and Morocco, two of the most deep-rooted countries of the region, can join forces to contribute to the Mediterranean civilization, as it has been in the past. In this context, Turkey and Morocco can pioneer the efforts to bring Mediterranean countries closer together. While remarking on this pioneering role, we also hope that the peace and stability enjoyed in the western part of the Mediterranean will spread to the east, especially to Syria. A peaceful and stable Mediterranean that has achieved full economic integration is in the interest of all the countries in the region," said Bahçıvan. Bahçıvan noted that they, too, are in awe of the beautiful homeland of Ibn Battuta, and are visiting it more often. “Casablanca, Rabat, and Marrakech are cities that blend together cultures, amazing visitors from all across the world. Touristic interest towards Morocco, and to these cities in particular, have soared in Turkey in recent years. For us, Morocco is a city of light and color, and I would like to express our heartfelt affection to your country. As the businesspeople of our countries, we should direct this touristic interest towards commerce and economy as well. The most important step taken so far in this direction is the Free Trade Agreement between Turkey and Morocco, which entered into effect in 2006. Through this agreement, Morocco has become Turkey’s fifth largest trading partner in Africa,” said Bahçıvan. Bahçıvan also commented that development of political and economic relations with African countries has become an important agenda item in Turkey’s international strategy in recent years. Pointing out that the trade volume between the two countries has reached $2.4 billion, which Bahçıvan explained as inadequate, given that the African market is expected to reach $2.8 trillion within the next 20 years. According to Bahçıvan, Morocco, one of the most stable economies of Africa, serves as an important bridge for Turkish businesses to reach the African market, or even Sub-Saharan Africa through customs union agreements in effect in the continent. Bahçıvan also noted that there are approximately 150 Turkish enterprises operating in Morocco, accounting for a total investment of $245 million and creating employment for around 7,000 Moroccans. For entering into the African market, Bahçıvan advised Turkish businesspeople to partner with Moroccan enterprises for investments in sectors such as energy, electrical and electronical, food, textile, glass, glassware, furniture, transportation, automobile assembly and maintenance, chemicals, pharmaceuticals and fishing. Bahçıvan noted that there is a mutual interest in furthering trade between Morocco and Turkey, which should pave the way for new collaborations between the countries. 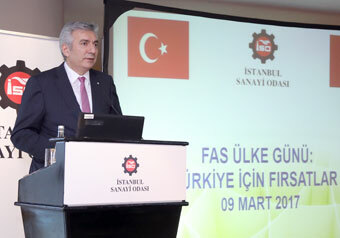 Bahçıvan also shared the Istanbul Chamber of Industry’s commitment to spare no effort in this regard. M’hamed Ifriquine, Consul General of the Kingdom of Morocco in Istanbul, began his speech by pointing out that he began his term of office in Istanbul four months ago, and expressed his appreciation of the high attendance the meeting received. Recognizing that Turkish companies have significant interests in Morocco, Ifriquine said the two countries enjoy good relationships and close bonds between their people. Highlighting that the Moroccan monarchy is one of the oldest in the world, Ifriquine said that Morocco went through the Arab Spring in 2011 smoothly due to the stability of the country. Noting that the largest trading partner of the country is the EU, Ifriquine asked, “Why shouldn’t Turkey become our largest parent in 10 years?” Pointing out that Morocco is second largest investor of Africa, Ifriquine noted the country’s historic bonds with Africa as well as its role as an important center for investors who want to expand into the continent. Sara Maftah, Specialist from the Morocco Investment Agency, delivered a video presentation representing the investment environment in Morocco. Noting that, like Turkey, Morocco benefits from a young population, Maftah underlined the country’s economic and political stability, as well as its role as the African country with the highest appeal among international investors. These investments are not entirely directed into construction and tourism according to Maftah, and the country is receiving investments into automotive and aeronautical industry, as well as into its developing food industry. 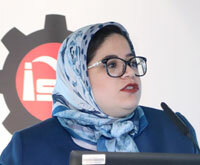 Hanaa Bouchikhi, Trade Counselor to the Embassy of the Kingdom of Morocco in Ankara, highlighted the political stability Morocco enjoys, as well as the country’s distinction as the most democratic country in the continent. As a country located at the crossroads of continents, Morocco is able to draw foreign investors who are able to establish fully foreign capital enterprises and transfer the full amount of their profits. Expressing that Morocco shares a similar vision with Turkey in terms of investments in Africa, Bouchikhi noted that the Free Trade Agreement of 2006 has enhanced economic relations between the countries. Oğuzhan Kökosmanlı, Specialist from the Morocco Country Desk of the Ministry of Economy then took the stage to detail the investment and trade opportunities between the countries. Kökosmanlı shared that in 2002, Turkey’s exports to Morocco was $138 million, while its import volume from the country was $68 million, and that these figures have since then increased to $1 billion and 227 million for exports, and $710 million for imports. 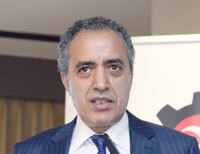 Noting that the government has taken the initiative ahead of business to take the steps for improved relations with Morocco and establish the necessary legal and technical infrastructure for that end, Kökosmanlı suggested Moroccan Investment Agency to open an office in Turkey for encouraging Turkish businesses to invest in Morocco. The meeting proceeded with a panel where Turkish investors shared their experiences, titled The Experiences of Turkish Businesses Engaged in Trade with Morocco, moderated by Haktan Akın, ICI Deputy Secretary General. Galip Aykaç, BİM Birleşik Mağazalar Executive Board Member, pointed out that they had selected Morocco as part of their search for foreign markets, and had commenced their investment in 2008. Noting that the brand has 341 stores centrally located in Casablanca, Aykaç shared their plans to open 60 additional stores within the year. Aykaç also pointed out that only three out of their 2,000 employees in Morocco are of Turkish origin. Noting that the country’s real estate prices are above that of Turkey's, Aykaç stated that investment can be made in this regard. 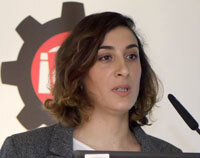 Pointing out that industrial investments can be made for a wide range of materials from basic consumer goods to other industrial products, Aykaç highlighted certain problems with imports and investments, which would held increase investment if resolved. Afterwards, Levent Cengiz, STFA Construction Morocco Safi Port Project Manager, and Serdar Ersoy DEFACTO Managing Director for Expansion, shared their experiences of investment in the country. The event then proceeded with a Q&A session where attendees received questions on investment and cooperation in Morocco.